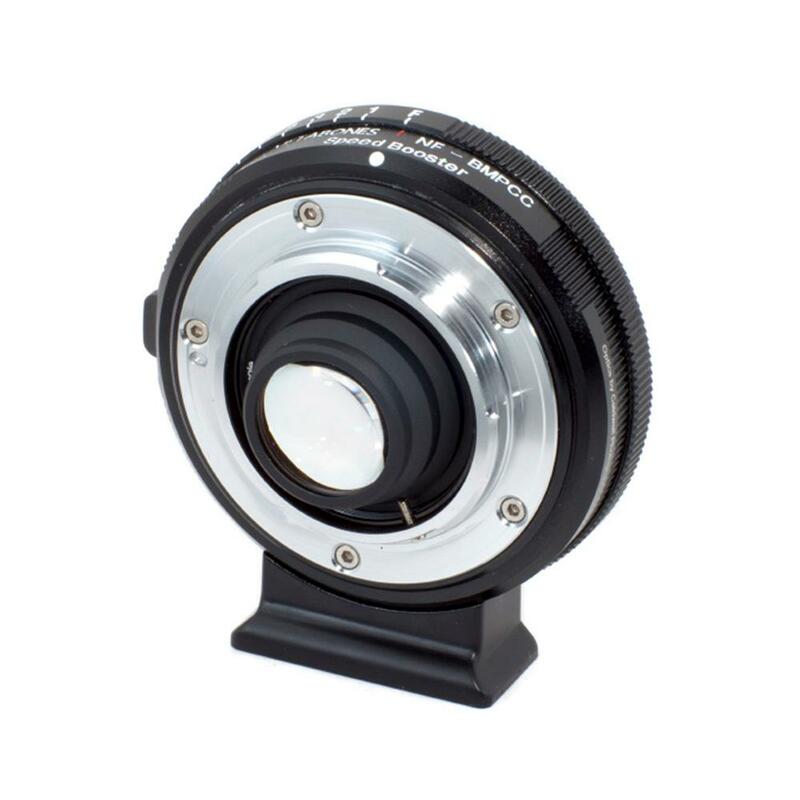 Nikon-G/F to Micro-4/3 mount Speed Booster T adapters are designed exclusively for the Blackmagic 2.5k Cinema Camera (BMCC). 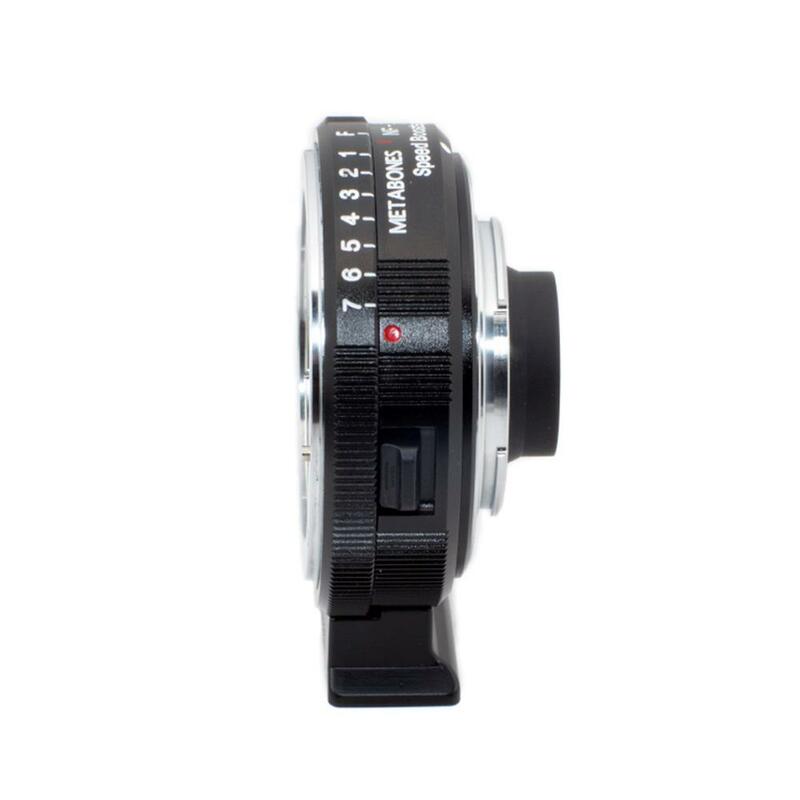 Note that the new Speed Boosters will only attach to Blackmagic cameras equipped with a Micro-4/3 mount. They cannot be attached to standard Micro 4/3 cameras. 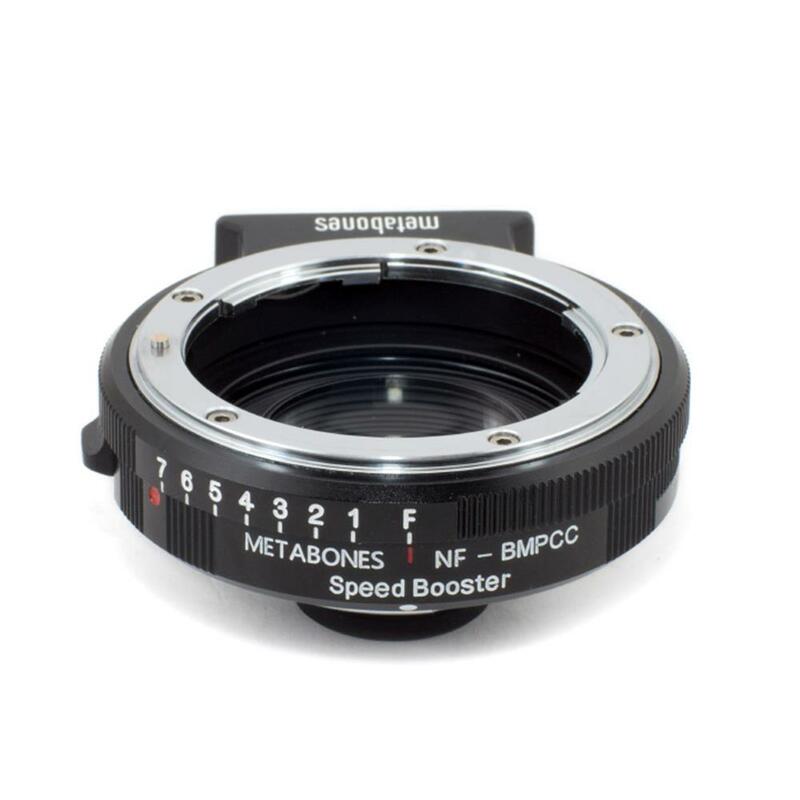 The new 0.64x Speed Booster reduces the full-frame crop factor of the BMCC from 2.39x to 1.53x, thus effectively transforming it into a Super-35 format cine camera. 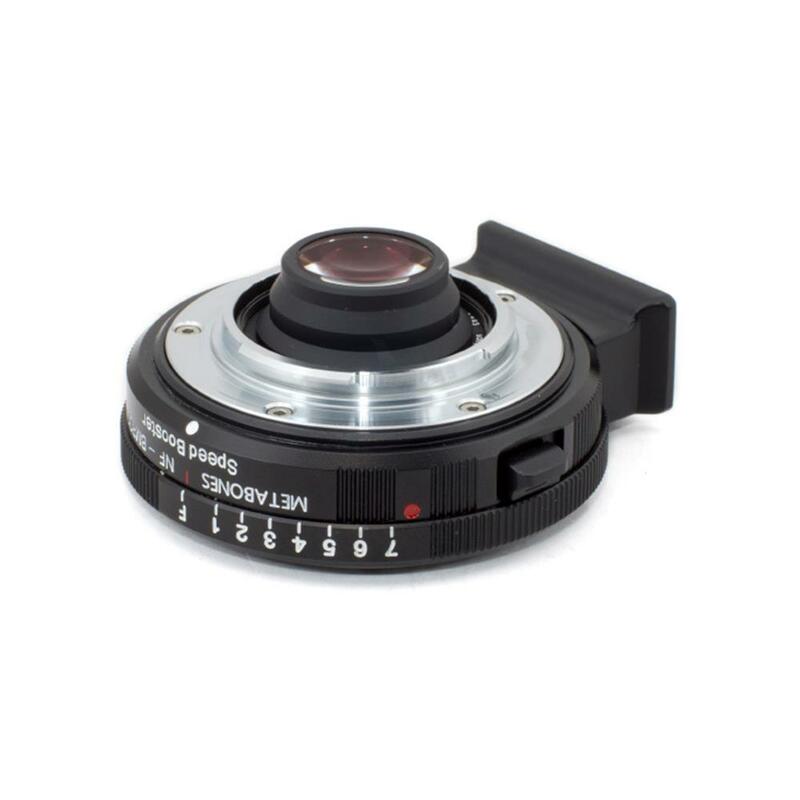 In addition, the speed of any attached lens is increased by 11/3 stops, with a maximum output aperture of f/0.80. 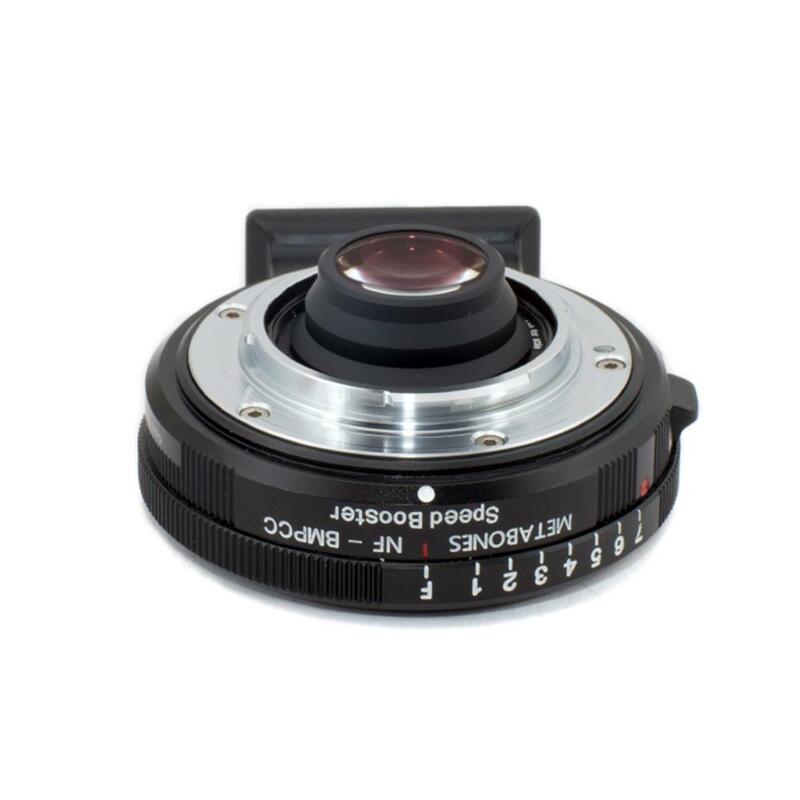 For example, a 50mm f/1.2 becomes a 32mm f/0.80 (i.e, by using 50mm lens, the actual focal length in BMCC is 32mm x 2.39 = 76.48mm), and Sigma?s new 18-35mm f/1.8 will become an 11.5-22.5mm f/1.1. 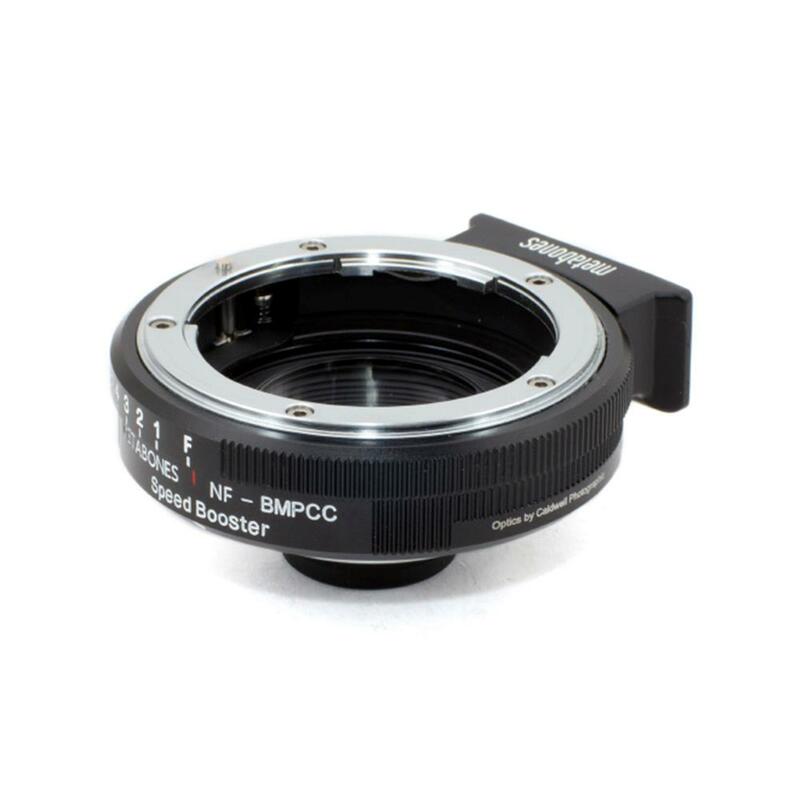 (i.e, by using 18-35mm lens, the actual focal length in BMCC is from (11.5mm x 2.39 = 27.49mm) to (22.5mm x 2.39 = 53.78mm). 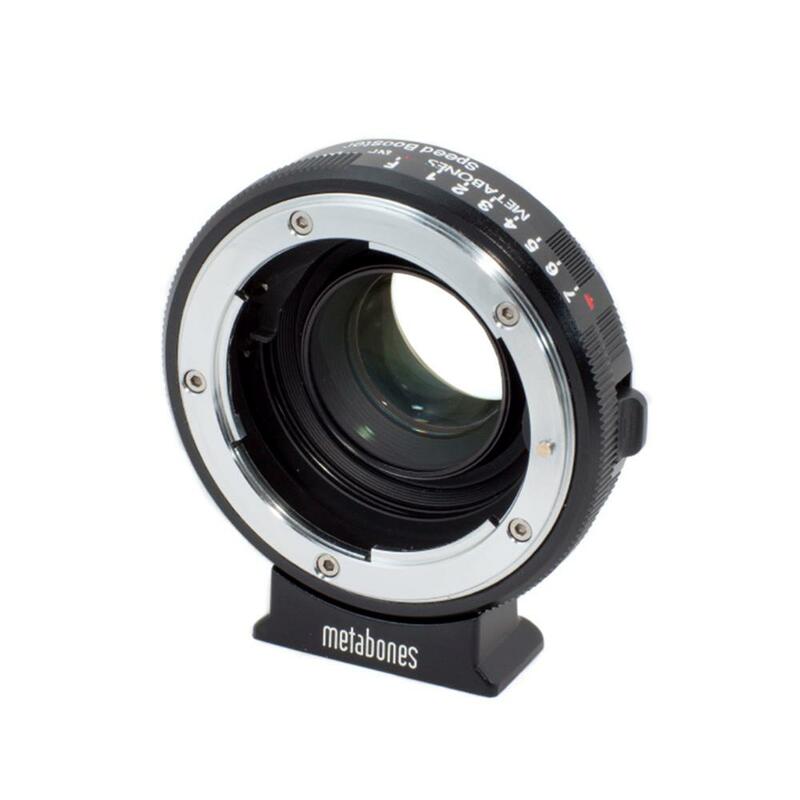 Industry's best aperture ring covers a 8-stop range, clearly indicating actual number of f-stops. No more guesswork! Optics designed by Caldwell Photographic in the USA.